Ronald Adler is the president-CEO of Laurdan Associates, Inc., a veteran owned, human resource management consulting firm specializing in HR audits, employment practices liability risk management, HR metrics and benchmarking, strategic HR-business issues and unemployment insurance issues. Mr. Adler has more than 42 years of HR consulting experience working with U.S. and international firms, small businesses and non-profits, printers, insurance companies and brokers, and employer organizations. Mr. Adler is a co-developer the Employment-Labor Law Audit (ELLA), the nation’s leading HR auditing and employment practices liability risk assessment tool. Mr. Adler is an adjunct professor at Villanova University’s Graduate Program in Human Resources Development and teaches courses on HR auditing and HR management. 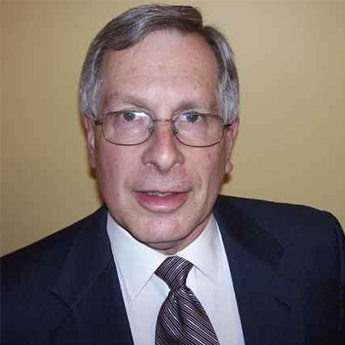 Mr. Adler is also a certified instructor for the CPCU Society and conducts courses on employment practices liabilities. Mr. Adler serves on two national taskforces developing professional standards in human capital measurement and performance management. Mr. Adler has assisted Congress and state legislatures develop employment and UI related legislation and has testified before the U.S. Senate Finance Committee on unemployment insurance and the U.S. Senate H.E.L.P. Committee on genetic discrimination in the workplace. Mr. Adler has also served as an expert witness in discrimination and negligent hiring cases. Mr. Adler is a member of the Institute of Internal Auditors. Mr. Adler is also a member of the Society for Human Resource Management (SHRM), serves as an subject matter expert (SME) to SHRM on HR metrics, formerly served on SHRM’s Human Capital Measurement/HR Metrics Special Expertise Panel, SHRM’s white paper review panel, SHRM’s Outsourcing/Consultants’ Special Expertise Panel, and the National Employment Committee. Mr Adler is a consulting expert on workplace issues to SHRM’s legislative staff, has contributed materials for The SHRM Academy and the SHRM Learning System, and has represented SHRM in meetings with the EEOC.